Chop chop chop chop. This is when it is a good idea to have a TV in the kitchen (we do not). 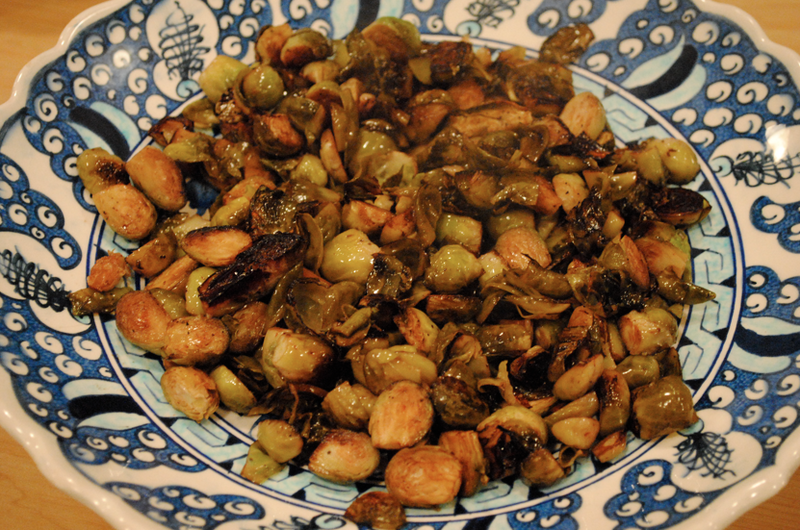 * With the oven preheated to 400 degrees, place the chopped Brussels sprouts in a dish. 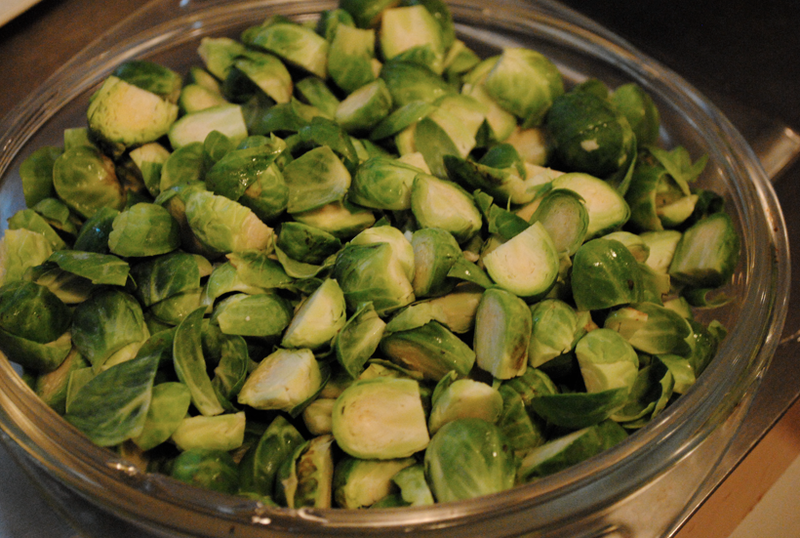 * Pour the oil and vinegar on the Brussels sprouts, mixing everything together. Dash with salt and pepper. The more the merrier. 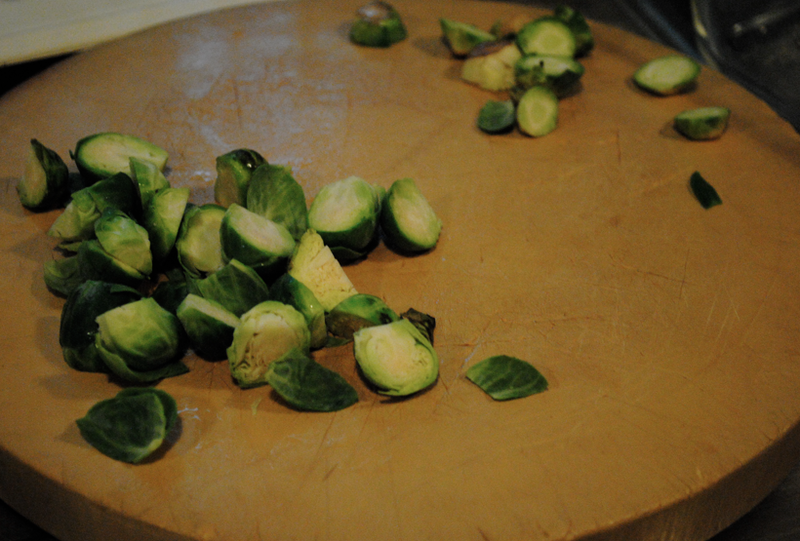 * Place in the oven for 40-50 minutes, stirring the sprouts every so often. 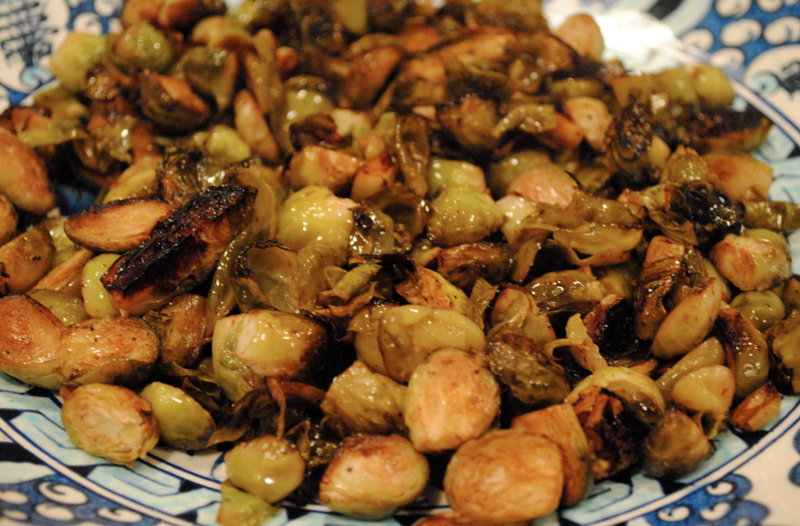 You can never go wrong with any roasted veggies, especially Brussels sprouts. * You can add bacon and/or pancetta to make it a meaty green side dish. * Adding bacon, sugar, AND onions make it even more special and rich. 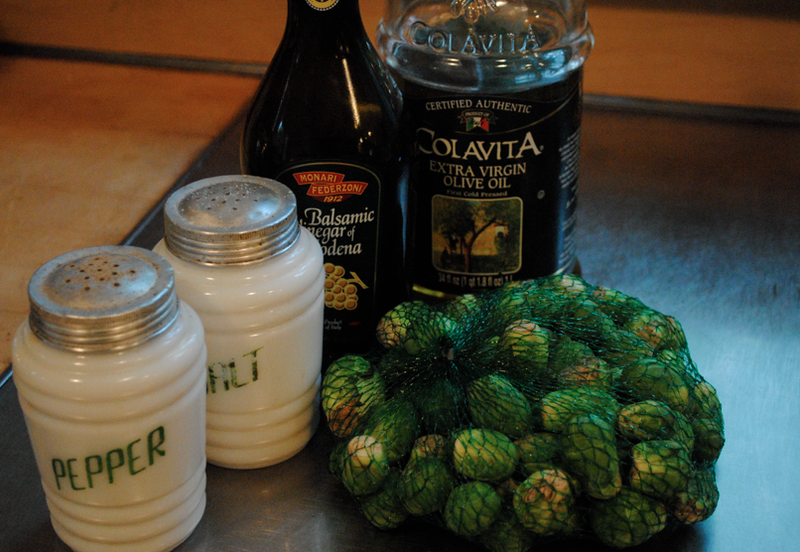 If you don’t have any of these ingredients in the house, no worries, simple roasted Brussels sprouts are still amazing. Do you have any Autumn dishes you love to cook? Would love more ideas! Have a great weekend! We are now both a little smarter! NO NO NO, the vinegar makes it less bitter! Those are some crazy old school salt and pepper shakers. HA HA. True — retro. Looks delish!! Reminds me of Christmas dinner..I guess I should eat them more than once a year for all those health benefits ha! Oh thanks for the suggestions. I love it! The food pictures are very well done. 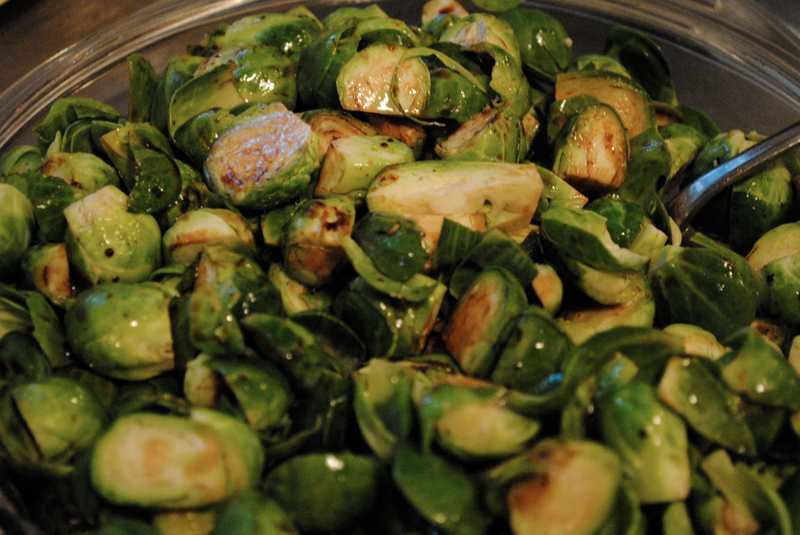 I want to try the brussel sprouts. Mama, you don’t want to try my cooking. Your cooking is the best in the world.